Length, Lie Angle will change. Flex, Length, Lie Angle will change. Lie Angle, Shaft will change. Dexterity, Lie Angle will change. Flex, Type, Length will change. 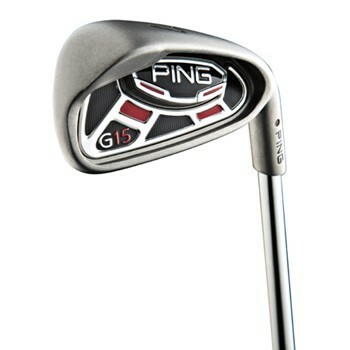 The Ping G15 irons feature stainless steel heads with a new Custom Tuning Port (CTP) that expands the perimeter weighing and increases the moment of inertia for added forgiveness and stability. Their wide-sole design positions the center of gravity lower and deeper to increase the launch angle for higher flying, longer carrying shots. Their thin face design creates weight savings that are re-positioned to the toe for added forgiveness on off-center hits. Clubs in Very Good Condition have been played with and cared for in an appropriate fashion. The markings that you will likely find on Very Good Condition products will show typical wear of models of its age. 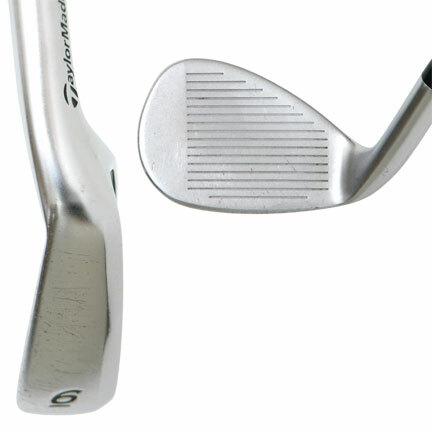 All of the wear is purely cosmetic, and will not in any way affect the performance of the club. 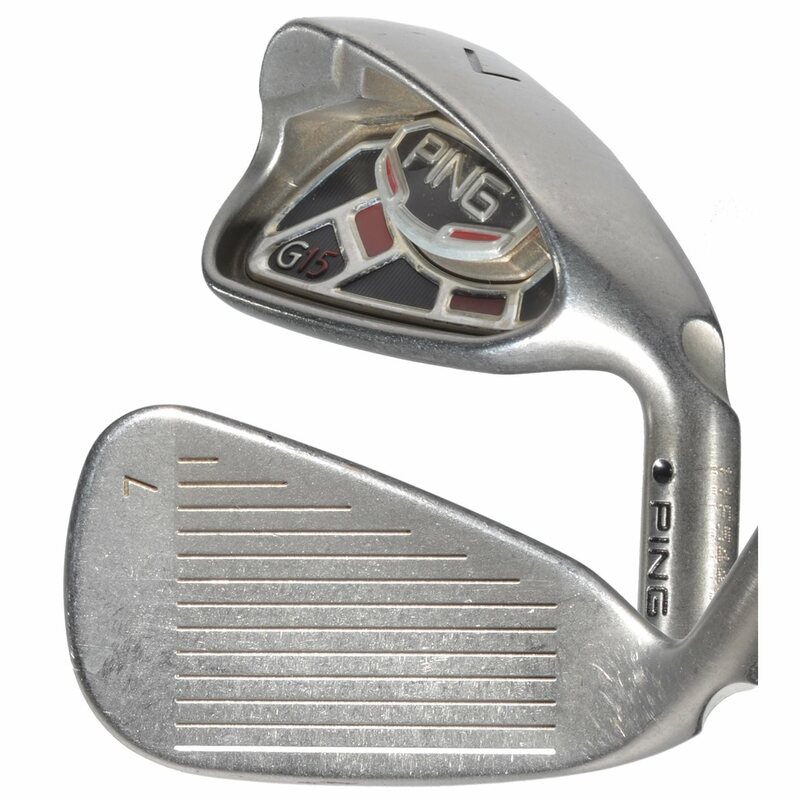 Among the wear that you may see on clubs in Very Good Condition: NOTE: Some irons are designed to rust over time. This is not considered adverse wear. Normal ball marks on the faces; minor scratching on the soles; no significant dings on the heads; no significant wear on the shafts. I am 5ft6" is the lie good for me? I would highly recommend visiting your local PGA Professional for an iron fitting. They will be able to help you determine the correct lie angle for you based on your swing. That is the only true way to determine the correct lie angle. What does it mean when it says the Ferrules may or may not be seated to the hosel? That would not be an issue with these clubs as they do not have a plastic ferrule. On other clubs with the plastic ferrule, they will sometimes slide slightly up the shaft creating a gap. This in no way hurts the club from a structural standpoint as the ferrule is strictly an ornamental piece. It can typically be slid back down and glued into place. These were released in July of 2009. I have been looking for a newer set of irons so I ordered this set in "value condition". Practically new when I opened the box. For the club itself. Feels great and pretty forgiving. I just used these in the past few days. They are easy to hit and seem to have a large sweet spot. More consistent shots. Toe weighting is brilliant and the wide soles work great!